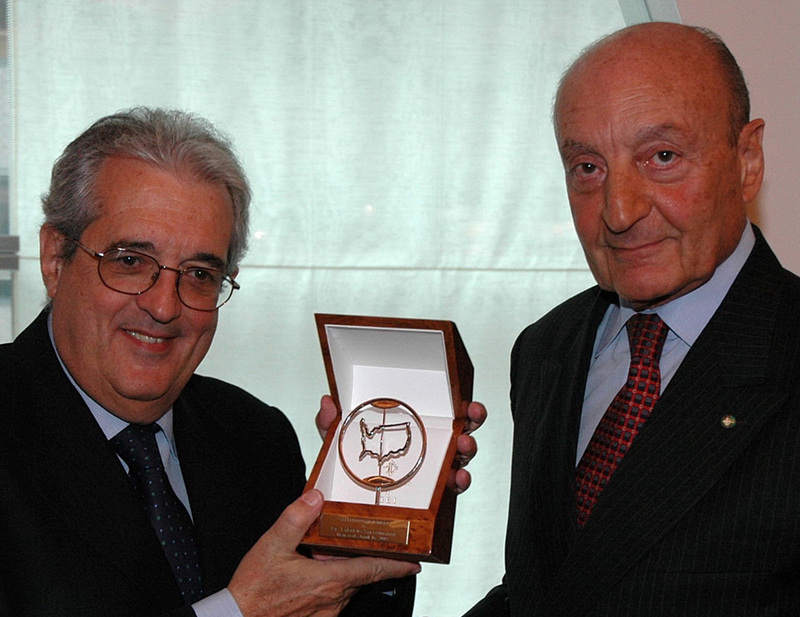 GEI Luncheon in honor of Dr. Fabrizio Saccomanni – New York, April 16, 2007 – Remarks by Lucio Caputo – President of GEI. In his capacity as Director General he is a member of the Directorate of the Bank of Italy, assists the Governor in the performance of his functions and stands in for him when he is absent; he has authority for the Bank’s ordinary administration. He is a member of the Board of Directors of the Ufficio Italiano Cambi. In the international sphere Mr. Saccomanni is a member of the Board of Directors of the Bank for International Settlements and Alternate to the Governor in the Governing Council of the European Central Bank. After obtaining a degree in Economics from the Bocconi University in Milan, he attended postgraduate courses in monetary and international economics at Princeton University. He joined the staff of the Bank of Italy in 1967 in the Supervision Office of the Milan branch. From 1970 to 1975 he was seconded to the International Monetary Fund, first as an economist in the Exchange and Trade Relations Department and then as assistant to the Executive Director for Italy. Upon returning to the Bank of Italy, he was assigned to the International Economic Cooperation Department and then to the Economic Research Department. In 1984 he was appointed head of the Foreign Department and in 1997 central manager for International Affairs. He has represented the Bank in the main international financial institutions, as a member of various committees: at the ECB (International Relations Committee), the BIS (Committee on the Global Financial System) and the European Union (Economic and Financial Committee). He was chairman of the Foreign Exchange Policy Sub-Committee at the European Monetary Institute (1991-97). He participated in the negotiations for the creation of the European Economic and Monetary Union and in the activity of the Euro Committee set up by the Italian Government to manage the changeover to the single currency (1998-2002). From February 2003 to September 2006 he was Vice President of the EBRD, where he was involved both in management, as a member of the Executive Committee, and in operations, as responsible for the Risk Management, Nuclear Safety, Environmental Protection and Official Co-financing areas. Mr. Saccomanni is Chairman of the Working Table for Economic Reconstruction, Development and Cooperation of the Stability Pact for South Eastern Europe, a member of the Board of Directors of the Istituto Affari Internazionali and a member of the Società Italiana degli Economisti.